Please review this information carefully. The terms and conditions clearly stated here apply to all sales and uses of our products. These terms and conditions include limited warranties, and disclaimers of liability as well as arbitration information. Keeping, using, or allowing use of this product indicates your complete agreement to these terms and conditions. If you do not agree to these terms and conditions, you have 30 days from date of purchase to return the unused product for a full refund. Any products returned as used or damaged will be subject to adjustments to refund amounts. Definition "TuffRail" as used here means TBD Products, Inc. along with any and all affiliates, related companies, and/or subsidiaries and/or business agents, servants and employees. Warning Use, misuse, neglect or improper installation of products sold through TuffRail's websites, catalogs, or otherwise, including but not limited to its retail showroom, events or trade shows, involves serious risks including injury, disability and death. Purchasers, users and participants assume all risk of injury. Because of the scope of installation, maintenance and use TuffRail cannot and will not be responsible for the misuse or unauthorized and improper use or installation of products sold through TuffRail's websites, catalogs, or otherwise, including but not limited to its retail showroom, events or trade shows. Duty of Coaches, Trainers, Gyms to inform others of these Terms and Conditions Before you allow the use a TuffRail product you agree that (a) you will require that users (or their legal guardian if they are minors) read, understand, and agree to these Terms and Conditions of Sale or Use, (b) you believe users (or their legal guardian) understand that they are participating in a high-risk activity and assume the risk of death or other personal injury, and (c) you agree to indemnify, defend, and hold TuffRail harmless from any claims made by them arising from their use of TuffRail products. High Risk Activity Products sold by TuffRail are used in physical fitness, boxing, kick-boxing, martial arts, yoga, weight training as well as other physical activities. Participation in any of these activities is a high-risk activity that can be harmful causing short or long term personal injury. You participate in any of these activities voluntarily at your own risk. You agree to consult a physician before participating in any of these high-risk activities. Read, understand, and follow specific warnings and instructions in product literature or inserts before using the product. Save these documents for reference. Inspect Before each Use This product must be inspected for use to ensure it has not been damaged while in use, has been modified or tampered with. If damage, wear, modification or tampering is evident, do not use. Immediately notify TuffRail in writing along with removing or isolating the product from further use and service. Assumption of the Risk By buying, using, providing, or allowing the use of TuffRail products, you understand and agree that physical fitness, boxing, kick-boxing, martial arts, yoga, weight training as well as other physical activities are high risk activities and are permitted by law. The purchaser and user of TuffRail products expressly and voluntarily assume the risk of death or other personal injury sustained while participating in such activities whether or not cause by the negligence or other fault of TuffRail including but not limited to equipment malfunction from whatever cause, or any other fault of TuffRail. Additionally, you agree to indemnify, defend and hold TuffRail harmless from any third party claims arising from such high risk activities or any other TuffRail product. Limited Replacement Warranty TuffRail warrants its products to be free from defects in materials and workmanship for a period of 120 days from date of purchase, provided they have not been subjected to obvious abuse, neglect or misuse. TuffRail's sole liability is limited to repairing or replacing products that are returned within this 120-day period, unless specific product literature specifies otherwise. Because this product requires installation where it is to be used, the purchaser assumes all responsibility to properly install, inspect and maintain it. Any product that is damaged due to improper installation, lack of inspection/maintenance or user neglect is not covered by any warranty. TuffRail is not responsible for any additional costs for product installation, removal and reinstallation at any time. Warranty Disclaimer The above stated warranties are in lieu of all other warranties expressed or implied including the warranties of merchantability and fitness for a particular purpose and of all other obligations and liabilities of TuffRail. TuffRail neither assumes, nor authorizes any other person to assume for it, any other liability in connection with the sale of products from its websites, catalogs, or otherwise, including but not limited to its retail showroom, events or trade shows. The above limited warranties shall not apply to any product which has been subject to accident, negligence, alteration, abuse, or misuse. The term "original purchaser" as used in this warranty means the person to whom the product is originally sold as shown on the sales invoice. These warranties shall apply only within the boundaries of the United States and Canada. Limitation of Liability As set forth above under the limited replacement warranty provisions, TuffRail's liability is limited to repair or replacement of its products which are returned to us prepaid in the specified period of time. In no event shall TuffRail's liability exceed the value of the products sold. TuffRail shall not be liable for any special or consequential damages that result from the use of any product sold through its websites, catalogs, or otherwise, including but not limited to its retail showroom, events or trade shows. Applicable law may not allow the limitation or exclusion of liability of special or consequential damages so the above limitation or exclusion may not apply to your purchase, but it is intended to be the maximum limitation as permitted by law. General Disclaimer Product descriptions, typographic, pricing and photographic errors are unintentional and subject to correction. We regret, but are not liable for such errors. TuffRail reserves the right to reject any orders placed for a product listed at an incorrect price. If you discover an error in our website or catalog, please let us know. Applicable Law and Resolution of Disputes Your order from TuffRail shall be interpreted and construed in accordance with laws of the State of Wisconsin without regard to its choice of law principles. You agree that any dispute or claim arising out of or in connection with your order or its subject matter or formation (including non-contractual disputes or claims), shall be brought exclusively in the federal or state courts located in Wisconsin and for this purpose you hereby submit to the exclusive jurisdiction and venue of such courts. Any cause of action or claim you may have with respect to the purchase of TuffRail products or any other claim related to the use of products sold through its websites, catalogs, or otherwise, including but not limited to its retail showroom, events or trade shows, must be commenced within one (1) year after the claim or cause of action arises. TuffRail's failure to enforce strict performance of any provision of these terms and conditions shall not be construed as a waiver of any provision or right. Neither the course of conduct nor trade practice shall act to modify any of these terms and conditions. International Shipments; Shipments outside of the U.S.; Duties and Taxes, Customs Fees, Brokerage Fees All orders are shipped FOB Germantown, WI. TBD Products, Inc / TuffRail is not responsible for any customs/brokeage fees and/or duties and taxes. No duties and taxes, customs fees and/or brokerage fees are covered or collected by TBD Products, Inc / TuffRail. The respective shipping company (whether UPS, DHL, FedEx) will collect duties and taxes, customs fees and/or brokerage fees before delivery is made. All fees imposed during or after shipping are the responsibility of the customer (tariffs, taxes, warehousing fees, etc.). Shipping Restrictions: It is your responsibility to be aware of the specific import restrictions for your country. If your package is refused or destroyed due to customs rules, TBD Products, Inc will not be able to refund your order or offer a replacement at no charge. Shipment Processing Time All orders are processed within 7-10 business days. Orders are not shipped or delivered on weekends or holidays. If we are experiencing a high volume of orders, shipments may be delayed by a few days and could take up to an additional week to ship out. Please allow additional days in transit for delivery. If there will be a significant delay in shipment of your order, we will contact you via email or telephone. Shipment Confirmation & Order tracking You will receive an email once your order has shipped containing your tracking number(s). The tracking number(s) will be active within 24 hours. Damages to Orders / Lost or Missing Shipment TBD Products, Inc / TuffRail is not liable for any products damaged or lost during shipping. If you received your order damaged or your package is lost, please contact contact@tuffrail.com or call 262-707-1347 to speak with a TuffRail associate to start the claim process. In the case of a lost package, a TuffRail associate will work with the carrier to find the package and/or determine the next option in the claims process. Providing TuffRail with pictures of the damaged product is highly recommended and can speed up the process in filing a damaged package/product claim. During the claims process the carrier may contact you to collect the damaged goods and packaging materials as part of the claims process. Save all packaging materials and damaged goods until the claim has been fully resolved or a carrier representative collects the items. Disposing of the packaging materials and damaged goods will make it very difficult; if not impossible to make a claim, so that is not recommended. Return Policy To return merchandise for credit or replacement, you need to obtain a Return Merchant Authorization number (RMA#). All returns must be in original packaging condition (product boxes, manuals, etc.) and require an RMA#. Packages without an RMA# will not be accepted. Returned shipments to TBD Products, Inc with missing accessories, components, documentation or damaged product or packaging will not be processed. To obtain your RMA# please email contact@tuffrail.com you may also contact Customer Support at 262-707-1347 for any questions or assistance. Please note RMA# can only be issued through email; we do not issue RMA# over the phone. Returns must be received by TBD Products, Inc within 30 days of the original invoice date. In the event of limited stock, replacement products may not be available immediately. It is the customer’s responsibility to arrange return shipping at their own expense back to TBD Products, Inc return center. TBD Products, Inc is not liable for any return shipping costs. We recommend that our customers use a popular shipping method such as UPS, Fedex or the U.S. Postal Service with good packaging (original packing preferred) and full insurance paid. The RMA# number that was issued to you should be clearly written on the top of the box and not covered by any labels. All sales are final and subject to a 50% restocking fee. If the customer decides to cancel their order whether the order has been shipped or still being processed, TBD Products, Inc shall have the right to charge 50% order cancellation fee. All related fees (shipping & return shipping fees) are NON-REFUNDABLE for all products in all cases. Shipments that are refused without authorization, or that are returned to us because the address was invalid, are subject to a restocking fee of 20% plus applicable shipping and handling fees. If a customer returns an order which was already shipped and was advertised with free shipping and/or shipping was included in the price; TBD Products, Inc shall have the right to charge the customer for any shipping fee's incurred in shipping the item to the customer. 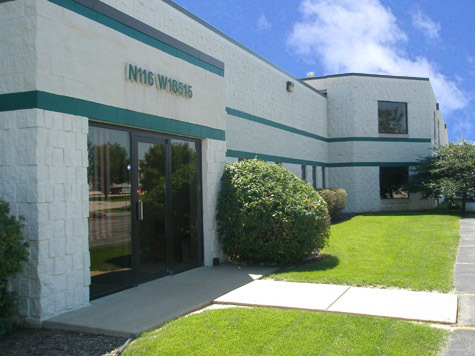 Headquartered in Germantown, Wisconsin our company uses only state-of-the-art machinery and craftsmanship. We are a privately-owned family business focusing on quality products and customer satisfaction. We take pride in our successful vendor and customer relationships in industries like Professional Motorsports, construction, municipalities, and with sport/recreation/hobby enthusiasts! At TBD Products, Inc. we work very hard to produce products of the highest quality. Our business ethics are maintained with the highest level of professionalism and a strict order of operation. But don't be fooled, we have a lot of fun working as a team on a daily basis. This makes coming to work fun which directly influences our customer service and commitment to producing fine quality products. We look forward to doing business with you. If you are not satisfied for any reason, we are not satisfied and will go above and beyond to acheive the highest level of customer satisfaction.